The foreign ministers of North Korea and Iran held talks on Tuesday hours after the United States reintroduced sanctions against the Middle Eastern country. 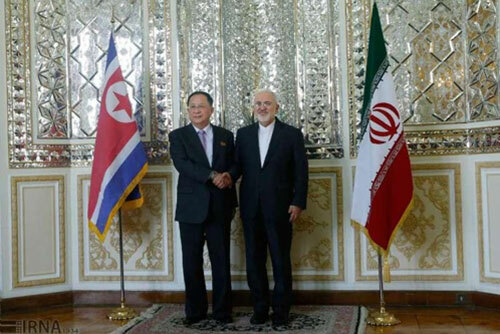 The Iranian Foreign Ministry released a statement after a meeting between Iranian Foreign Minister Mohammad Javad Zarif and his North Korean counterpart Ri Yong-ho in Tehran. The statement said that the two officials expressed satisfaction with existing bilateral relations and called for the further expansion of ties. It said the two sides also discussed the latest regional and international developments as well as issues of mutual interest. The meeting has drawn attention as it comes when North Korea is seeking to have U.S. sanctions against it lifted and follows Washington’s move to reimpose economic sanctions on Iran that were lifted in 2015 under a nuclear accord.